Climb Iceland's Highest Summit, Hvannadalshnjúkur! The ascent of the highest peak in Iceland, Hvannadals- hnúkur (2110 m / 6900 ft) is a once-in-a-lifetime must. The peak is located in the north-western rim of the Öræfajökull volcano and promises an unforgettable hike with breathtaking panoramic views. To kick off your adventure packed day, you will meet your highly qualified guide at our sales lodge for a briefing. No special technical skills are required but we recommend packing the items on our equipment list. The climb will be mentally and physically grueling but it is worth it. 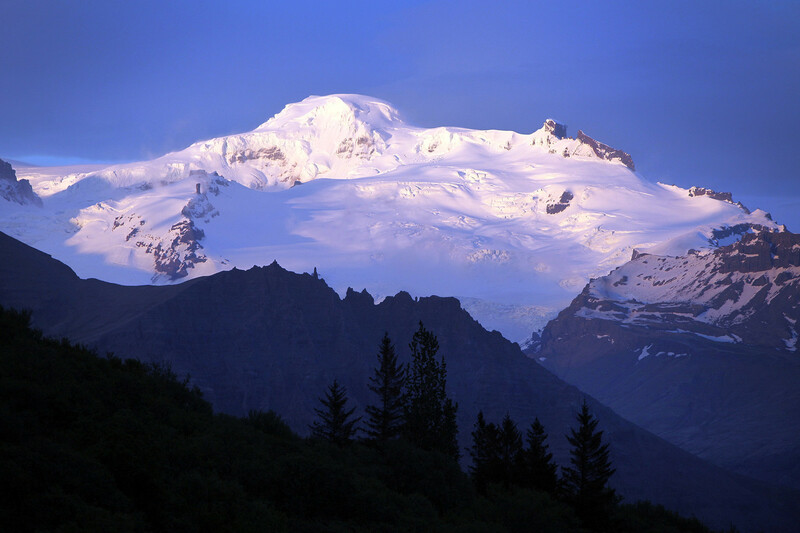 At the summit, you will witness the rugged outlet glaciers of Vatnajökull glacier and the vast sandy plains of the rivers that drain off that great glacier. This tour combines marvelous nature and a demanding hike for an unforgettable experience. Please note that a minimum of two participants and a guide meets our standard of ascending and descending the summit in the safest way possible. We recommend that our customers leave a few days free before and after the scheduled departure date in case we need to cancel or make changes to a departure due to lack of participation or weather conditions. The season has been shortened due to deteriorating conditions on the glacier over the years. Our guide was very friendly and easy to get on with. He explained our route and safety requirements perfectly. Coupled with perfect weather conditions it made this a brilliant day. Once in a Life Time Must! I want to hike Hvannadalshnukur or Hrútsfjallstindar but the season is over/not started?